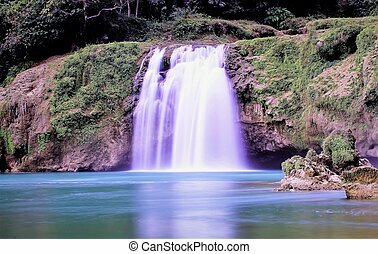 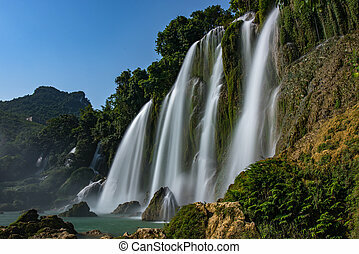 Detian waterfall. 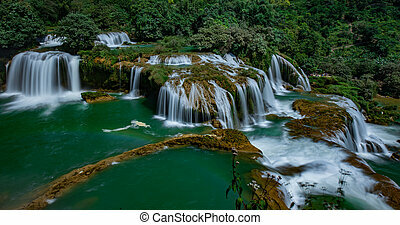 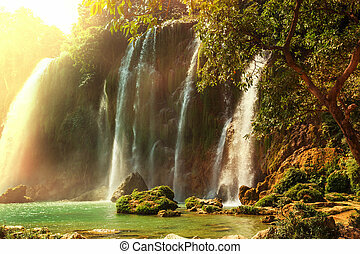 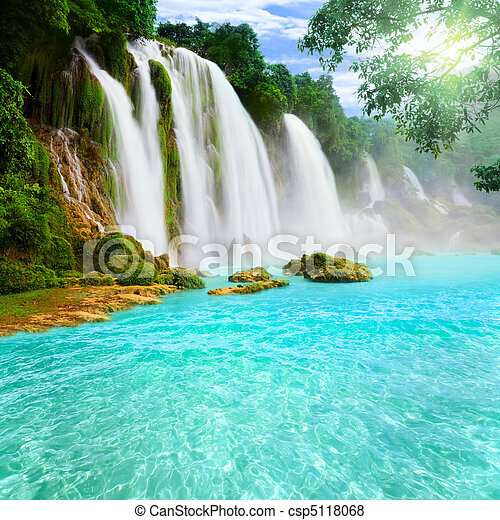 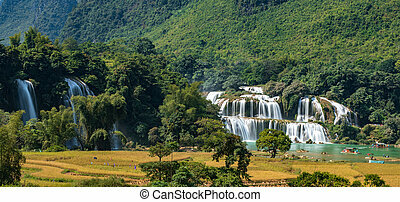 Detian or ban gioc waterfall along vietnamese and chinese board. 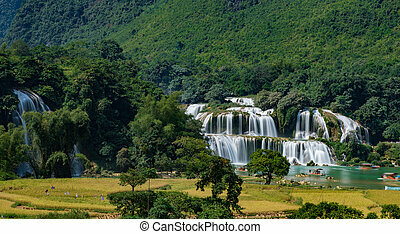 BanGioc is the most beautiful one in VietNam. 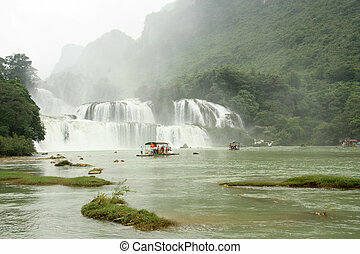 It is also the natural border between Vietnam and China. 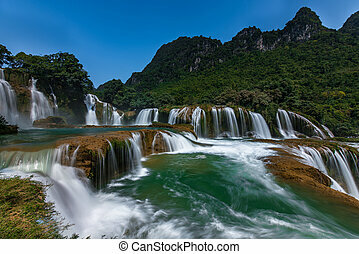 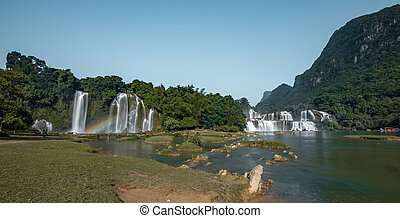 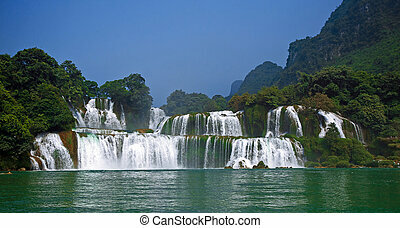 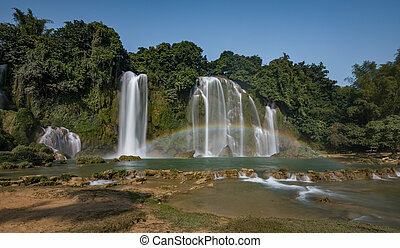 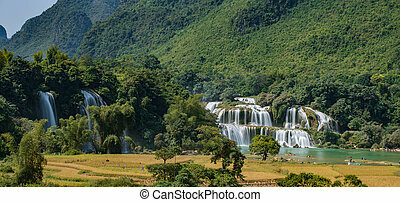 Haft of this biggest part of the waterfall in this photo belong to china.CaoBang city-Northern Vietnam.